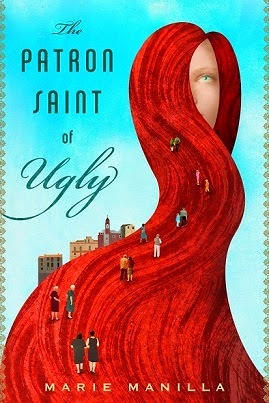 Manilla's new novel is The Patron Saint of Ugly. Okay. I’m totally cheating, since these may not be books I’m reading for the first time, but I’m probably re-reading one of them at any given moment. For me, they are my “how-to-write-a-novel” primers. 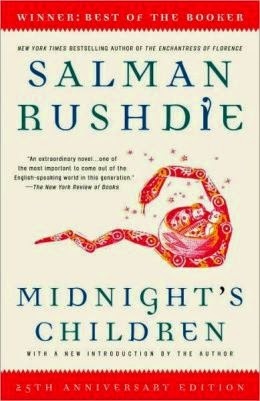 Salman Rushdie’s Midnight’s Children and García Márquez’s One Hundred Years of Solitude. I’m lumping them together because they were my introduction to magical realism, after which my reading and writing were never the same. I mean, who doesn’t love a novel where the blood from a nosebleed drips out as rubies, or where the blood of a dying spouse trickles out of the house, down the street, and around the corner, to announce the termination of a soul? Both novels grapple with large issues: revolutions and coups and countries splitting, but there is also lightness and levity and myth, ingredients I cannot get enough of. I spent a lot of time dissecting Jeffrey Eugenides’ Middlesex to discover what made me relish it so. 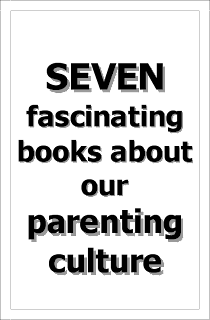 I loved dipping back into the family’s history to find that culprit hermaphrodite gene. I loved following the young sibling-couple to America and watching life unfold for them and their DNA-damaged heirs. I loved the way Eugenides wove actual history around his imagined family. So skillful. So dazzling. 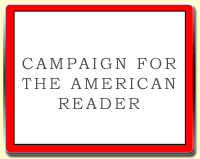 I am a slow, slow reader, and it’s difficult to read other writers’ work while I’m crafting my own. Thus, I’m often years behind what is au courant. I was nearly a decade behind on David Mitchell’s Cloud Atlas, but I’d heard about the great divide. Folks either fancied it or they didn’t. I did. I loved all of the voices and genres, from the nineteenth-century sea journal, to the 1930s epistolary Belgium section, to the noir San Fran entry, to the futuristic Neo Seoul interview. I loved the way the book physically unfolded: each interconnected book chopped in half, the endings told in reverse chronological order. I admire any writer who takes great risks, and for me, this one paid off brilliantly. I borrowed a copy of Sandra Cisneros’ The House on Mango Street and read it so thoroughly and hard that I had to buy the lender a new copy. Snippets. Images. Vignettes. Collage. Who knows what to call this thing? I sure don’t, but I love its richness, its bold flavors, and its big-big heart. I waited too long to read Carson McCullers’ The Heart is a Lonely Hunter. Funny. Odd. The town is also a character, and the characters are characters, particularly the Greek, and John Singer, the deaf-mute who becomes everyone’s confessor. So haunting. If the writing is sure and authoritative, I’m willing to go almost anywhere the author takes me. That’s what happened with Kate Atkinson’s Life After Life. Initially I wasn’t sure what was happening, but I was happy to go along for the ride. I loved the fractured world Atkinson created. I loved the endless possibilities. Haven’t we all wondered about alternative lives? If we’d done this instead of that. If Mom hadn’t saved us that day we nearly drowned. If we’d turned left instead of right and never bumped into fill-in-the-blank. Neo App (New Appalachia): Laura Long’s Out of Peel Tree, Scott McClanahan’s Crapalachia, Glenn Taylor’s The Ballad of Trenchmouth Taggart. Like me, these authors are West Virginians who present a broader view of our state to the world. We are so much more than the stereotypes and worn-out punchlines. One of my goals as a writer from this much-maligned state is to create a new mythology for West Virginia, but not in an exotic, banjo-picking, Deliverance, kind of way. The West Virginia that Long, McClanahan, and Taylor present to readers is one I actually recognize, and that is so refreshing.